Europe’s grand castles, churches, and museums are, without question, spiritual, cultural, and historical centers of every community in Europe. However, there are also plenty of down-right creepy locations that inspire those spine-tingling sensations so many Ghostbusters chase. Let’s have a look at some of the creepiest sites in Europe. At first glance, this hillside looks like a scenic village or a small town. However, a closer inspection reveals something more creepy – a necropolis. This ancient graveyard was created centuries ago by inhabitants of the nearby village. Each of the tiny houses actually represents a tomb containing the members of the Ossetian family. According to the local historians, the cemetery was created after a plague swept through the Ossetian region. The legend says that the people who lost their entire families would go and sit in the tombs, waiting for death to come as there was no one to bury them. 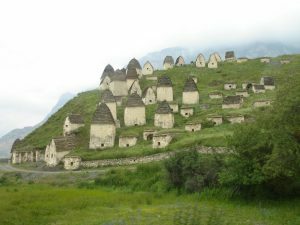 If you want to visit the tombs, you would have to go through the Caucasus Mountains to reach the village of Dargavs – the necropolis is three hours drive away from there. The frightening chapel of bones is the most famous monuments in Evora, the capital of Portugal’s south-central region of Alentejo. The “Capela dos Ossos” is located next to the entrance of the Royal Church of St Francis. On the surface, the walls look like sheets of sandstorm, but there is more than meets the eye as every inch of the chapel is covered with carefully arranged bones and skulls. 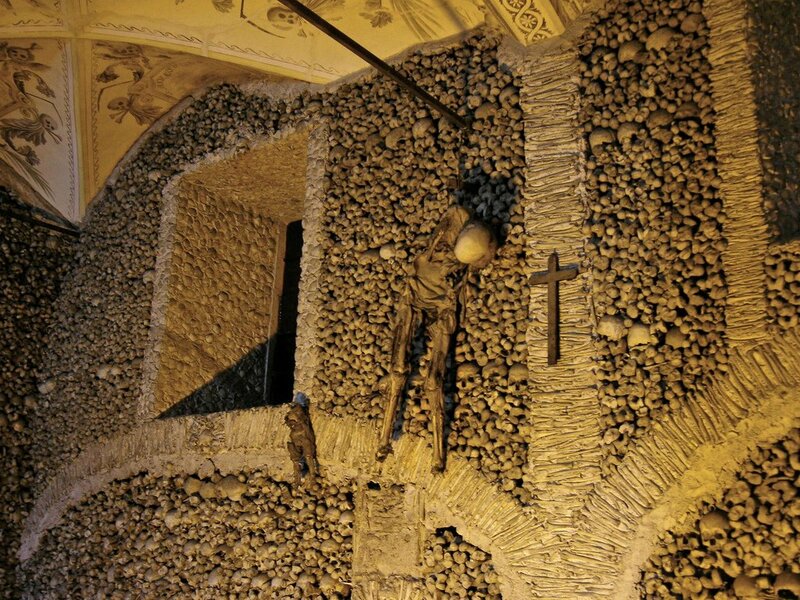 The legend says that the Franciscan monks constructed the chapel out of more than 5,000 corpses. The bodies interred there are stacked floor to ceiling, and at the entrance of the chapel there is a door with the message written over the threshold “We bones, are here, waiting for yours”. Quite scary, huh? 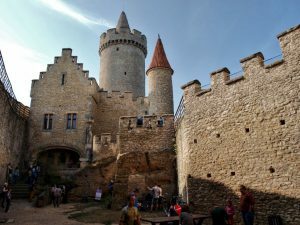 Zvikov Castle, frequently called “The King of Czech castles”, is located in the South Bohemian Region, Czech Republic. Legend has it that, until the end of the 16th century, a supernatural creature tormented the residents of the castle. The most haunting thing about the castle is that strange events still occur in the tower – technical malfunctions, weird photos, and bizarre animal behavior. According to another legend, the tower is still cursed as anyone who sleeps in the tower will die within a year. Even the most die-hard skeptics admit that this is one of the creepiest places in Europe. You can get to Zvikov via a two-hour train ride from Prague to Cimelice. From there, you might need to grab a taxi and travel for a few miles to the castle.